Michael Barrable Motors is Dublin's newest Hyundai dealership. We offer the full range of new 2019 Hyundai cars at our dealership in Airside Motorpark, Airside, Swords, Co. Dublin. If you are looking to enquire about one of our latest Hyundai cars at Michael Barrable Motors or looking to arrange a test drive, please fil out our handy contact form below or simply tap to call us. 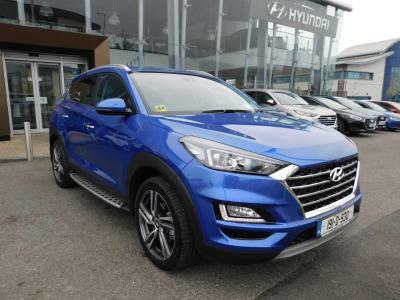 Did you know - The all-new Hyundai Tucson is the best-selling SUV in Ireland. Michael Barrable Motors has a range of Hyundai Tucsons at our dealership in Swords, Co Dublin. Why not drop into us today for a look and one of our highly experienced staff members will help you find your next car.